The ESL Play World of Warcraft Europe edition is now open. It doesn't matter if you're Alliance, Horde or play on the most desolated European server. 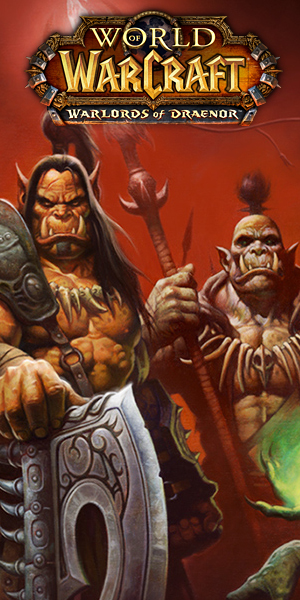 It's time to gather your teammates and begin your competitive World of Warcraft career on ESL. Lok'tar ogar! We are working hard to provide you with exciting tournaments and ladders to kick off the section and we hope you'll enjoy them. Look around and try out playing in a ladder or tournament. Light be with you! The World of Warcraft tournaments in this section will be played on the European Live Realms with Tournament Gear. This is made possible using the new Wargame Commands recently added by Blizzard. To find out how they work please see the WoW Custom Match FAQ. We know there are more Battlegrounds and different Arena sizes and we plan to support them all in the future. We're always open to suggestions, feel free to discuss possible future tournaments, ladders and leagues in the ESL WoW Forum.